George Thomson’s stunning late winner saw the points head to North Yorkshire on Saturday. 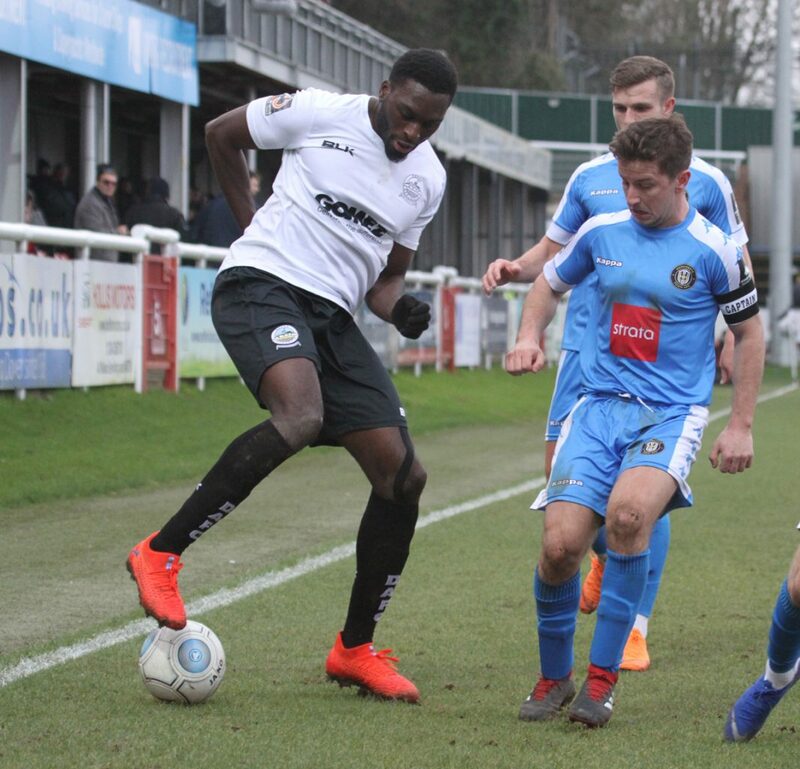 The midfielder let fly from 25-yards and though Mitch Walker got a touch, Dover’s stopper was unable to stop the ball from going into the top corner in a dramatic ending at Crabble. 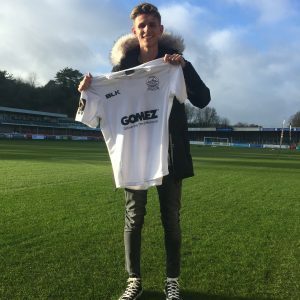 Jamie Allen had levelled matters with just over ten minutes remaining to cancel out Mark Beck’s early goal and Jai Reason then had Andy Hessenthaler’s men on course for their first win in four National League matches with a spectacular volley two minutes later. But Beck levelled from close range on 84 minutes before Thomson won the game with just moments to spare. It was the worst possible start for Athletic as Harrogate went ahead after just six minutes. Jack Muldoon sprayed the ball across to the onrushing Jack Emmett, who in turn passed the ball into the area for Beck to head in from just yards out. Kevin Lokko, awarded National League Player of the Month for January earlier in the week, thought he had levelled after heading home Bobby-Joe Taylor’s cross, only for the linesman to rule the goal out for offside. Reason chased down Taylor’s through ball, but saw his effort blocked by visiting keeper James Belshaw, who sprinted out of his area to deny Athletic’s midfielder. Beck and Fallowfield nearly combined once again with tall striker Beck heading his right back’s cross narrowly over. Following the restart, both Inih Effiong and Josh Falkingham were off target for their respective sides from distance. Some neat interplay ended with Emmett curled just off target from the edge of the box. Effiong was unable to convert Dover’s best chance of the half so far. The forward sprinted onto Allen’s through ball, however Belford was out quickly to block the Effiong’s shot, with the rebound bouncing off Dover’s forward and into the arms of Harrogate’s grateful keeper. Goalkeeper Belford then saved his side twice in succession, first denying sub Alfie Pavey from point blank range and then turning Allen’s angled drive around the post. 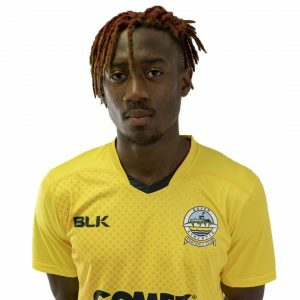 Effiong was unable to get his shot through a barrage of Harrogate defenders from close in and Dover’s forward then was just off target with a header from Brundle’s corner. But Athletic finally made the breakthrough on 79 minutes thanks to Allen’s fifth league goal of the campaign. A Brundle long throw made it’s way to the forward who slammed the ball into the far corner. The home side were ahead in spectacular fashion just two minutes later. Another Brundle throw was only half-cleared to Reason, who volleyed into the top corner from 25-yards. But the scoring was not over and the visitors hit back on 84 minutes through Beck’s second of the game as the tall striker slotted sub Aaron Williams pass into the top corner. And Thomson won it in stunning fashion, smashing the ball into top corner from all of 25-yards to win it for the away side. Earlier boss Hessenthaler made one change to the side with Taylor replacing Nortei Nortey, who was ill. Whites next travel to Salford City in the National League on Saturday 16th February, kick off 3pm.